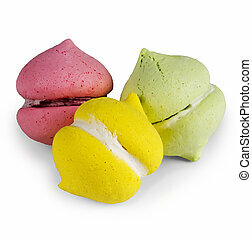 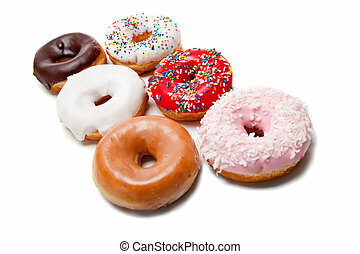 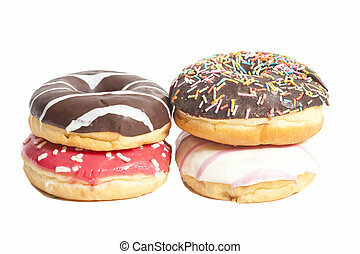 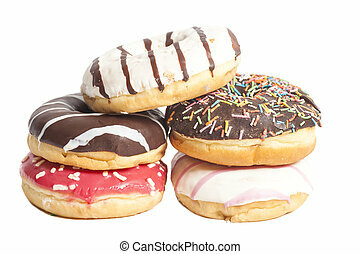 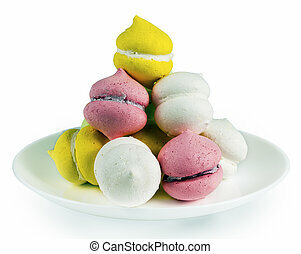 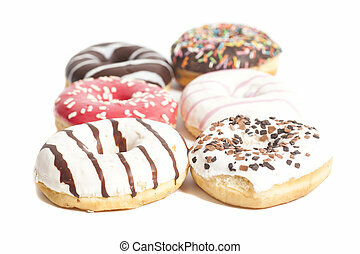 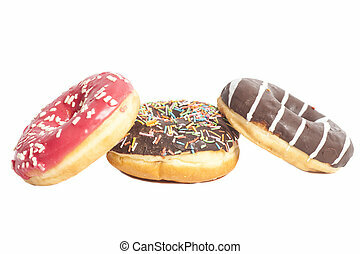 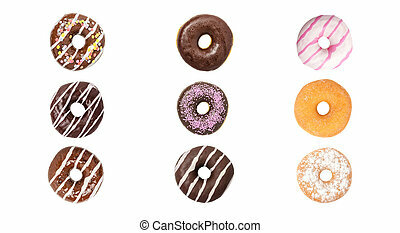 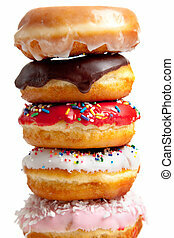 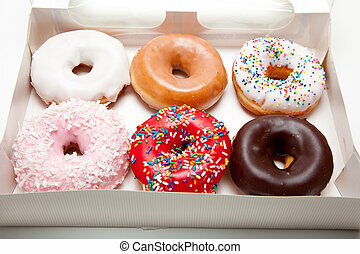 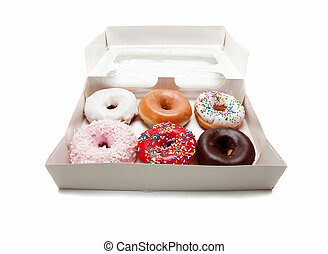 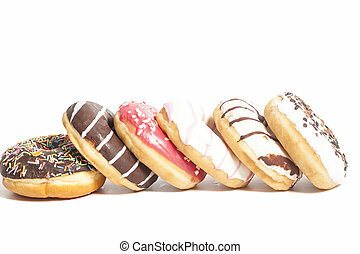 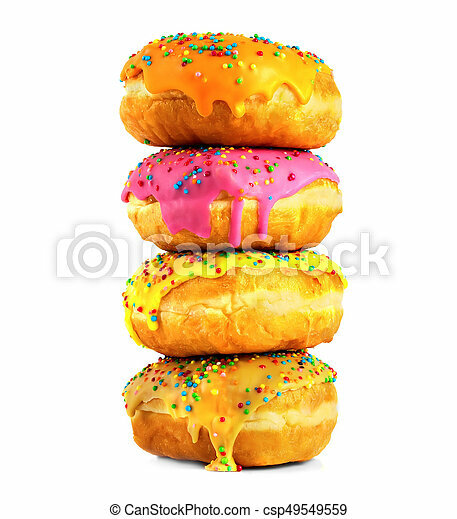 Assorted donuts on white. 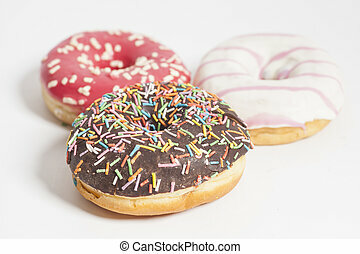 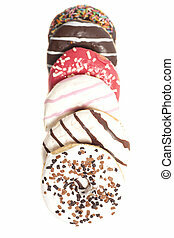 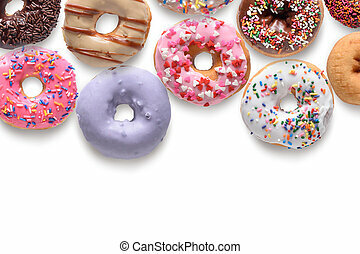 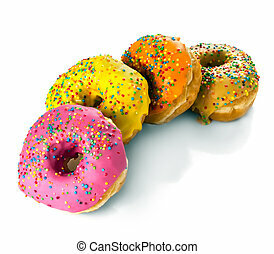 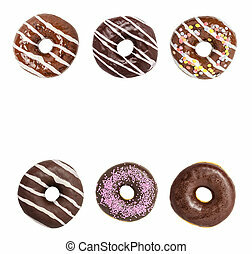 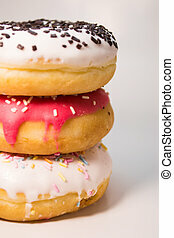 Donut with colorful sprinkles isolated on white background. 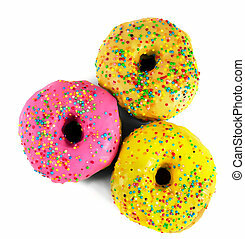 Donut with colorful sprinkles isolated on white background.